As people who consume Fortnite content may have noticed, another game is dominating the space today. Apex Legends is a new free-to-play Battle Royale title developed by Respawn Entertainment based on the Titanfall series. A press release from Respawn showed popular streamers Myth, Shroud and Dr. Disrespect playing a test version of the game. Ninja, Daequan, Myth, CouRage, Poach, 72hrs, Cloak, SypherPK, Timthetatman, DrLupo, Hamlinz, NickEh30, Avery and many more. During Fortnite’s run of popularity, other Battle Royale titles have made brief incursions into the popularity but eventually fallen by the wayside. Call of Duty’s Blackout was popular when the game released but most popular streamers switched back to Fortnite. Before that Realm Royale paid a lot of streamers to play the game and it paid off for them at first. With the game’s debut in June of 2018, the average player count was over 30,000 through the month. Now that count is just 3,500 with the lowest month averaging just over 1,000 players at any one point according to Steam Charts. So the question is will Apex stick around or will it go the way of Realm Royale? Here are some key things to consider when looking at the game and the boom in popularity. Much like Epic, Respawn already had experience building a multiplayer shooter before releasing their Battle Royale title. Titanfall 1 released in 2014 and Titanfall 2 followed in 2016. Many people expected Titanfall 3 to come at some point this year. Instead, this is what players get and according to interviews with Respawn developers, Apex Legends has been their main focus as a company. Many pro Fortnite players have commented on how the game feels clean and smooth. This comes back to Respawn’s previous experience in this space. Being F2P is the main reason Fortnite was as successful as it was. Epic literally changed how game studios operate with the success of Fortnite. Blackout would have had a more dramatic impact on Fortnite’s player base if the game wasn’t blocked behind the $60 Call of Duty entry fee. To be a true competitor to Fortnite, you have to make the game as accessible as possible. Even a $15 game would stop a lot of people from downloading and making the switch from Fortnite. While this doesn’t apply to popular streamers who get most games for free, it does matter for the Fortnite player base in general. Fortnite’s Season 7 is the longest season to date as Epic took a well-deserved two-week break for the holidays. This has left a lot of dedicated players without challenges to complete until Season 8 begins at the end of the month. Apex could not have chosen a better time to try to convert Fortnite players. On the flip side, Epic has been quicker than any other developer when it comes to changing the game. 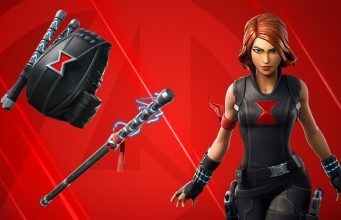 Just today they added two new items, vaulted one and changed four more. They have done and will continue to do everything in their power to keep the game exciting and deliver new experiences to players. The Marshmello concert last week was a perfect example. What keeps streamers playing a game? This is the big question. Streamers are motivated by a variety of different factors. First and foremost are viewers. 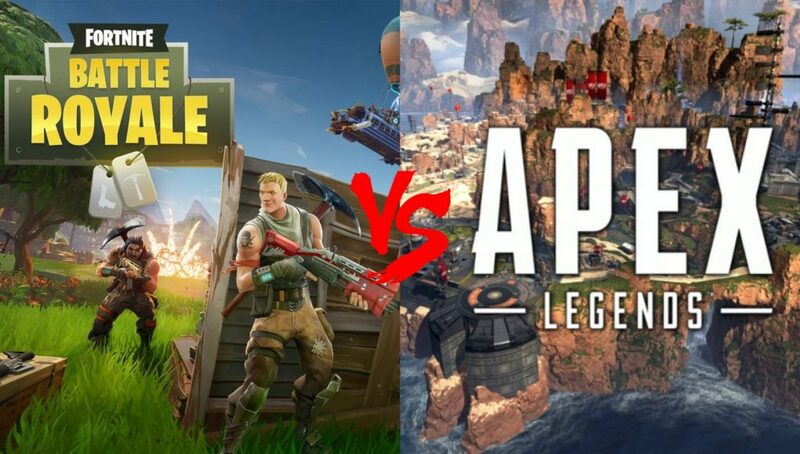 If they average 50% more viewers when playing Fortnite vs. playing Apex Legends, they will play a vast majority Fortnite. If those numbers are the same, they will play the game they enjoy the most. For some streamers who are built around their personalities like Shroud and Dr. Disrespect, it doesn’t matter what game they are playing. Some Fortnite streamers are nearing that point but for most of them their audience was built playing Fortnite and isn’t guaranteed to stick around through a full game change. This is where the F2P factor can be crucial. People enjoy watching games they play. The other big factor is competitive players. Many streamers are also pro players. Not all of them are but the majority compete in Fortnite events for money. That could be crucial to Fortnite’s continued presence on Twitch. Even during release a lot of players said they were playing scrims or pop-up cups and then switching to Apex. Because Fortnite has so much money in prizes pro players are going to have to continue playing the game from a financial perspective. If people who have been splitting time with Apex feel their game start to slip in the next major Fortnite tournament, they may turn back to the game full time. If you want more Apex Legends content be sure to follow Apex LegendsINTEL. What are your thoughts on the new competitor to Fortnite?